Racing is a popular event around the world, to be specific motorbike racing is a sport that has many followers. In these events, expert riders show off their amazing bikes and riding skills and try to win the championship title. FIM is an organization or body that is responsible for hosting and managing all the different motorbike events worldwide. If you are a motorbike lover, 2017 will be an exciting year for you because there are quite a few FIM motorbike events that are coming your way. Here you will find information regarding some of the FIM Motorbike events that you will be able to witness this year. The FIM Motocross World Championship is one event that will take your breath away this year, especially if you are a motorbike enthusiast. This particular event has been hosted for almost 60 years now and each year it brings something special. If you want to see the fastest off-road races, then the FIM Motocross World Championship is certainly for you. This series has grown immensely and it has undergone quite a few modifications to become the biggest event that FIM organises in the world as it covers multiple continents. The 2017 FIM Motocross World Championship is the 61st installment of the FIM Motocross World Championship. The season includes 20 events starting from 25 February from Losail in Qatar and it will end in France in Villars-sous-Ecot on the 17th of September. A few of the events have already taken place and the winners have already been decided. The winner at Qatar was Tony Cairoli, the winner at Indonesia was Shaun Simpson and the winner at the Argentina and Mexico Grand Prix was Tim Gajser. The event in Italy will start from the 16th of April and it will be one of the most exciting ones so far. Germany and France will also be two events to look out for as something exciting is expected from both the events. After France and Germany, the races will take place in Russia and then again in Italy, and both of these events look to be promising. Judging by the races that have already taken place, it is very difficult to identify the winners as all the racers are doing their best to win. Each and every race has been more exciting and promising than the last one and that is why we are all eagerly waiting for the next event in Italy. These were some of the most amazing events of the 2017 FIM Motocross World Championship that you should know about. All of these events are equally exciting, however, some might be more interesting than others. 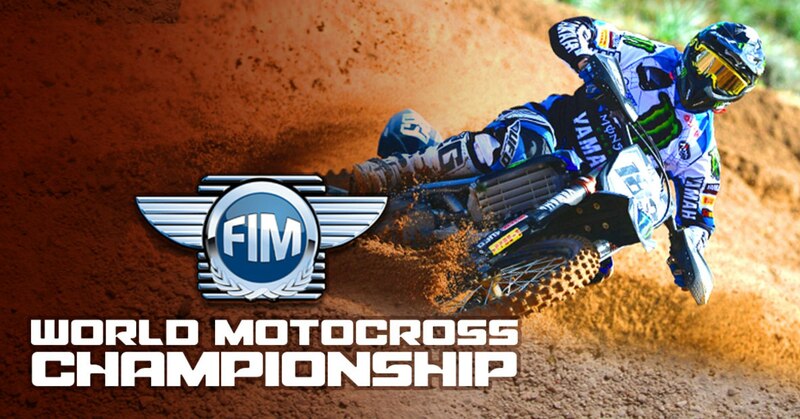 If you are an FIM Motocross World Championship enthusiast then you will certainly love each and every event that the championship season brings. The FIM Motocross World Championships take place once every two years, and that is why it is encouraged that you enjoy each and every event that takes place because you might have to wait two long years before the next event.